The past 20 years have transformed our relationship with nuclear weapons drastically. 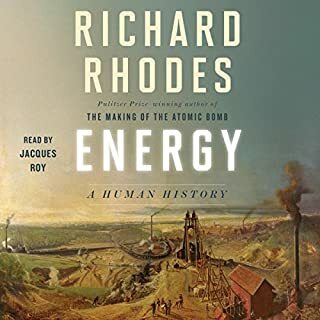 With extraordinary depth of knowledge and understanding, Rhodes makes clear how the five original nuclear powers—Russia, Great Britain, France, China, and especially the United States—have struggled with new realities. He shows us how the stage was set for a second tragic war when Iraq secretly destroyed it's nuclear infrastructure and reveals the real reasons George W. Bush chose to fight a second war in Iraq. Enrico Fermi is unquestionably among the greats of the world's physicists, the most famous Italian scientist since Galileo. Called "the Pope" by his peers, he was regarded as infallible in his instincts and research. His discoveries changed our world; they led to weapons of mass destruction and conversely to life-saving medical interventions. This unassuming man struggled with issues relevant today, such as the threat of nuclear annihilation and the relationship of science to politics. In the early hours of February 25, 1968, a Russian submarine armed with three nuclear ballistic missiles set sail from its base in Siberia on a routine combat patrol to Hawaii. Then it vanished. As the Soviet navy searched in vain for the lost vessel, a small, highly classified American operation using sophisticated deep-sea spy equipment found it - wrecked on the sea floor at a depth of 16,800 feet, far beyond the capabilities of any salvage that existed. It would be much better to have the entire book. They cut out one of the parts I had most wanted to hear; apparently he discusses the reasons why thermonuclear bombs aren't made as destructive as technologically feasible. Who knows what else is missing from this version. Otherwise the book is quite good, a nice balance of technology, biography, and politics. And a good reality check on what nuclear stockpiles really entail for society. Rhodes is not the smoothest reader in the world, but I enjoyed hearing the author reading his own writing. I Did not realize the book had been abridged. Would have preferred the whole story. Not the full book, which is wonderful. It skips through so much content there is a lack of balance throughout. My feeling is that 75% of the content must have been cut in abridging this audiobook. It feels extremely rushed and lacking details, especially compared to The Making of the Atomic Bomb. In this abridged form it's a waste of time. Read the paper book. 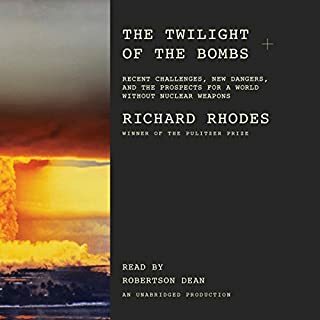 The Making of the Atomic Bomb is my favorite audiobook; its narrator manages to pace and deliver Rhodes' nuanced portraits of scientists and in-depth technical explanations perfectly. 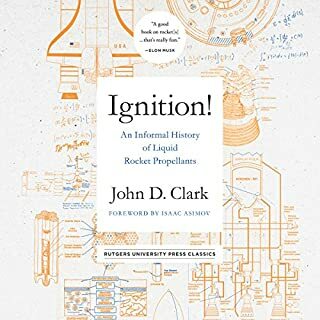 It's deep and comprehensive, laying out a clear path through the meandering half century between the birth of nuclear physics and the Trinity test. The complete ~900 page book takes an appropriate 37 hours; there are no jumps or missing links.. Dark Sun fails to live up to its predecessor's standard. Rhodes is a decent narrator, but he lacks the performance skill of a professional. He is, however, an incredible author and researcher. Unfortunately, he seriously undermines his own work by abridging it. Trimming down ~800 pages into six hours results in a hack job; the smooth logical progression that characterized The Making of the Atomic bomb are lost. Towards the end, critical portions are removed and transitions feel jumpy. Characters are often one dimensional, having been stripped of exposition and background stories. Worst yet, the audio book manages to spoil some of the best passages in the book by stripping them of their context. 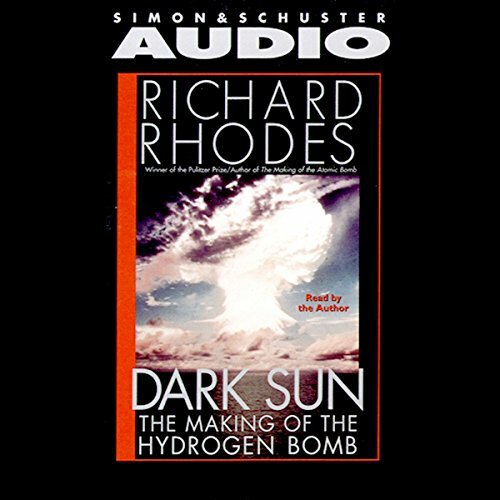 If you liked Making of the Atomic Bomb for it's depth and completeness, I'd highly recommend skipping this audio book. It ruins Rhodes' excellent work. Read the unabridged print or kindle edition instead. Reading the entire book is made harder by having listened to only the highlights. It's like being served only the appetizers and desert from a 7 course meal; it ruins your appetite for what would otherwise be a great experience. it was ok. but it never really gave the level of detail that made the first book so overwhelmingly good. 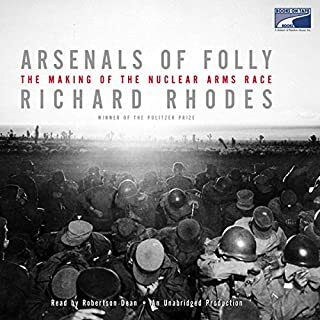 I love Richard Rhodes, but the Making of the Atom Bomb was simply superb. This book was less detailed, had less compelling narrative, and was much less engaging. Fascinating book. I wish it were available in an unabridged version. Some of the technical descriptions of the various bomb designs are a little hard going. You really need diagrams to follow them. But the descriptions of the people and politics were excellent. The author turns out to be an exceptionally good narrator. If you want to learn something about arguably the most important era in modern history then check out this book. What did you love best about Dark Sun? The combination of deep insight into the people plus the large-scale history including some extremely important things which no one talks about. What other book might you compare Dark Sun to and why? 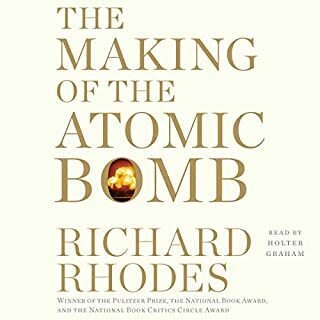 Rhodes' other book The Making of the Atomic Bomb. You will not believe what the US did (and allowed) in the name of Lend Lease. Read it to find out! An outstanding history of a dark era in our days. It is quite technical in places but not overly so. It should be careful read and digested. The Thermal nuclear weapons, the science, the history, the politics, the espionage, the arms-race and the Cold War; all in one book. 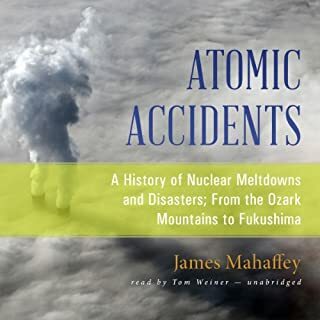 I wish that the author's "The Making of the Atomic Bomb" was also available as an audiobook.